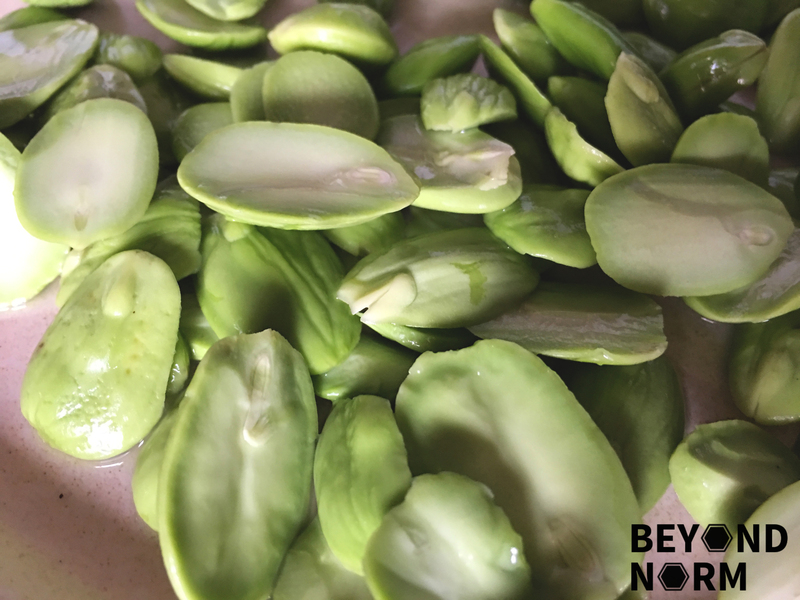 When we were living in Malaysia, Petai (stink beans/smelly beans) was a common sight in the wet market or at most nasi lemak stalls. Back then, the price of Petai was cheap but now a pack 150g of Petai is selling for SGD4.00 in the wet market!! These beans have a very pungent smell because of the high concentration of amino acids in them. To be honest, it was not love at first sight!! After realising there is a wealth of healthy nutrients in them, this dish is now one of our regular favourite home dishes. They have been proven to aid in everything from lowering blood pressure to relieving stress and warding off heartburn. This is an irresistible and simple dish to prepare and the smell is so strong but the taste is so good!! Wash and drain the ikan billis. Heat up 2 to 3 tablespoons of oil in a pan. Add in the ikan billis and stir till it is golden brown and crispy. Split the petai into half. Remove any petai that has worms in them. 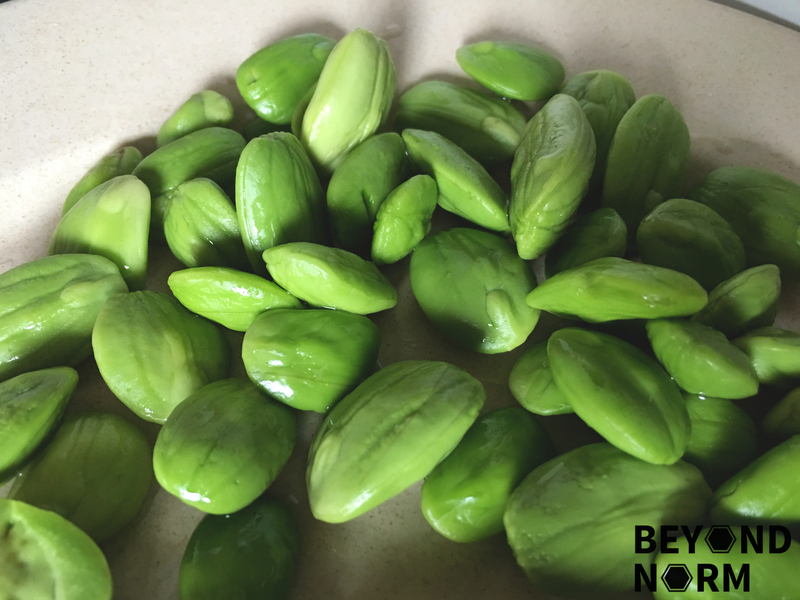 Soak the petai in water for 5 minutes. Then drain and set aside. Heat a pan with 2 tablespoons of oil. Add in the prawns and fry for 30 seconds. Then stir in the beans for a minute. Add 1 tablespoon of sambal and stir till prawns and beans are well coated. If you want it spicier, add 1 or 2 teaspoons of sambal and continue frying. Season with the fish sauce. Add some water if it is too dry and cook for another 3 minutes. Adjust taste by adding some sugar or salt. Dish out on serving plate and sprinkle the crispy ikan billis on top. Serve immediately with steamed rice. may i asked where you bought the Kingfisher brand fish sauce?